Bay Area California Trip 2004! Bay Area Spring '02 Trip! 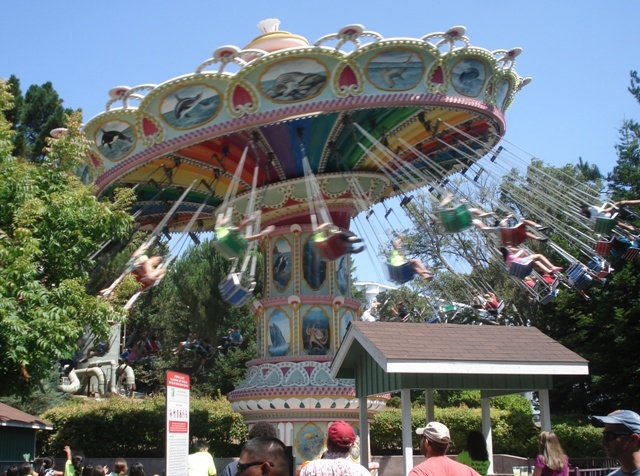 Discovery Kingdom distinguishes itself from all other parks in that it has a full complement of land/aquatic animal shows along with a robust ride lineup. 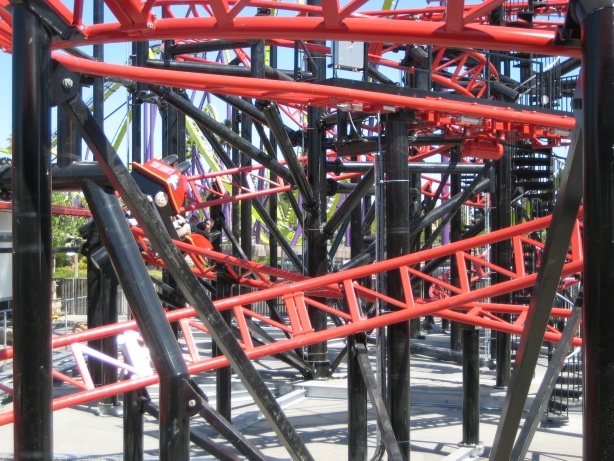 The coaster lineup is anchored by a unique shuttle launch, but the rest of the coasters, while fun, are not one-of-a-kind. Although there is an adequate selection of flat rides, many of them have height requirements that are restrictive to families with smaller kids. 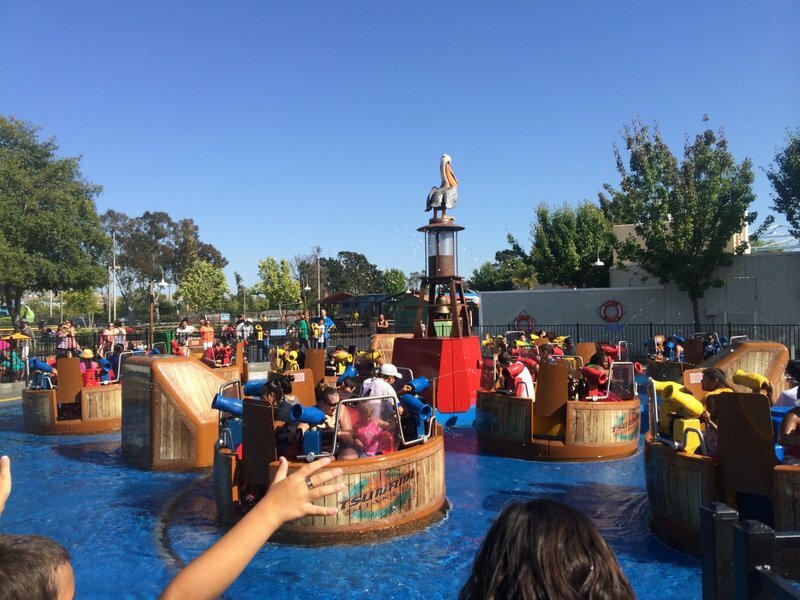 It has been a long transition to convert this former marine park into a full amusement park, but the goal has been achieved. As I walk towards the entrance, I was greeted with the sound of V2 soaring above my head and B&M's signature roar of Medusa. The park had a great theme! The rides were excellent. The bad thing was the lines. The lines were long, specially in Medusa. I recommend getting Flash Pass. The service was great as well. Tip: Kong's line gets really short like at 5 pm if you want to break your neck on a real Vekoma SLC! (Worth It) The line was about 3 min. 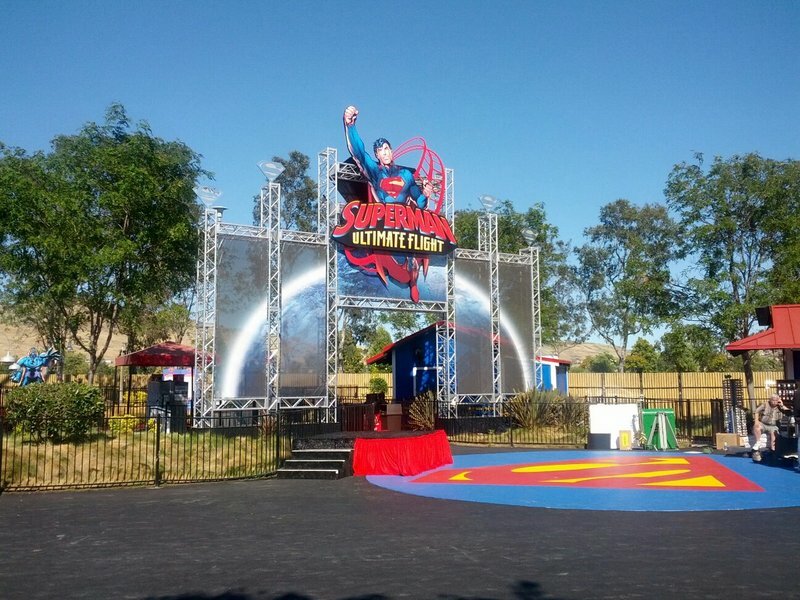 SFDK seems to not follow Six Flags standards as it only has one superhero-themed ride, very good shows, and a decent sized zoo. Not following the Six Flags standards is a great thing! 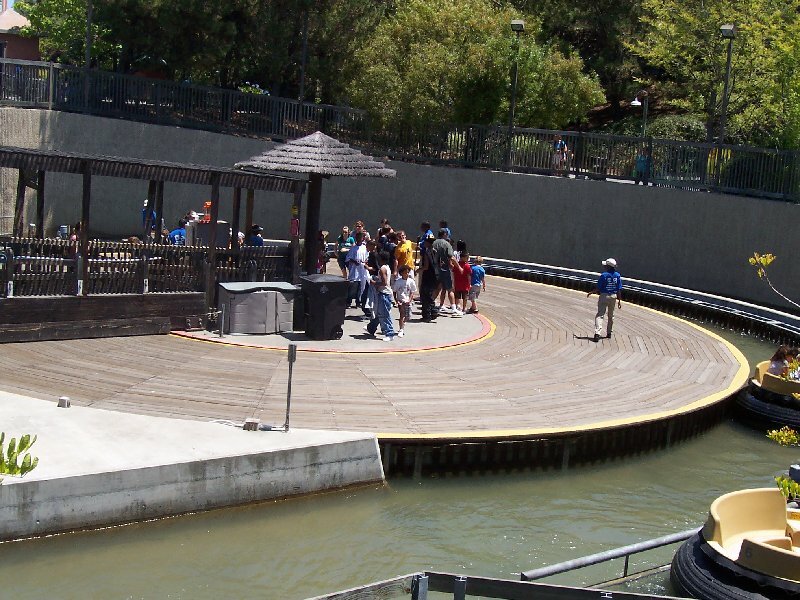 SFDK used to be Marine World and most of the old Marine World attractions are still around. 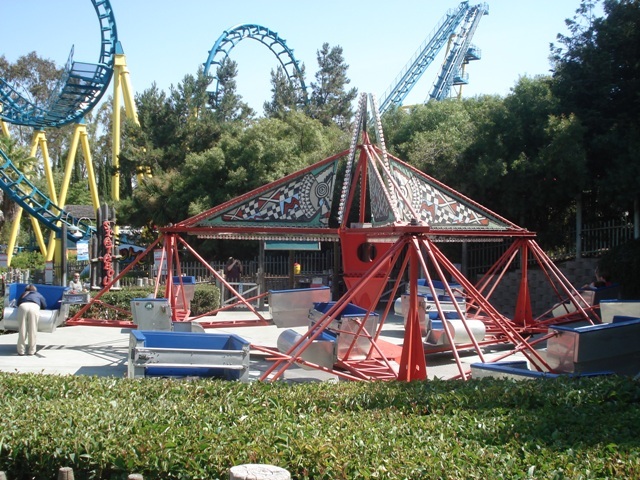 SFDK's oldest ride was built in 1996, so all the rides are relatively new. SFDK's operations are a little better than the usual Six Flags operations though SFDK can have the feared one train operation on Kong & Roar. 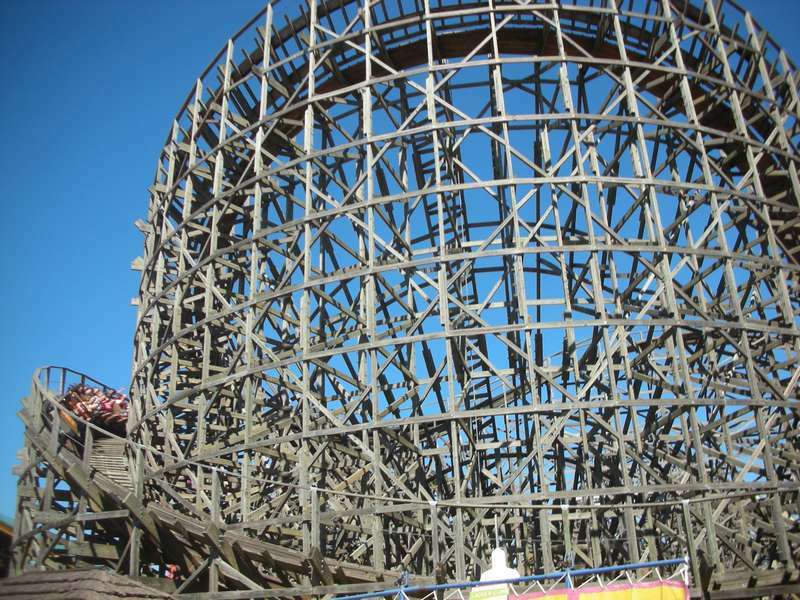 This is not your average Six Flags Park. 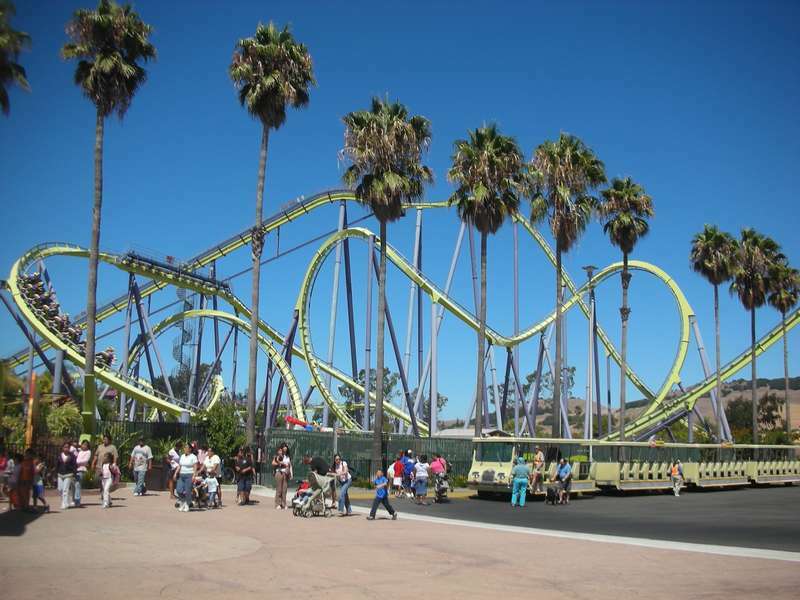 The best rides (Medusa, V2, Roar) are considered by many to be only average at other parks. Where this park stands out above the rest however is the animals. 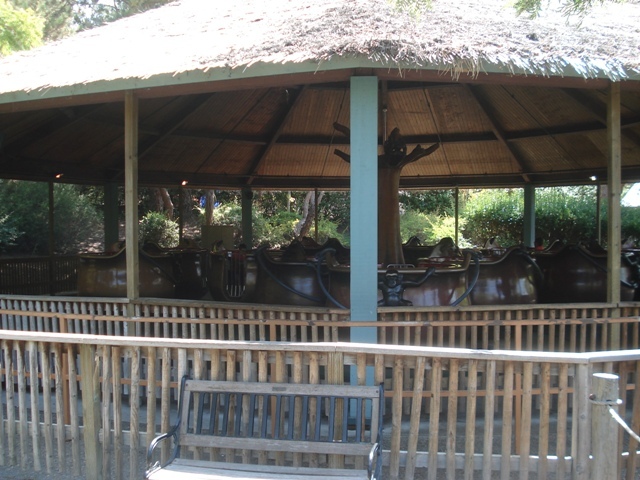 This beautiful park not only has rides but land and sea animals as well. Most of the animals can be seen in many of the parks wonderfully performed shows. The rest of the animals can be seen in exhibits through out the park. You can also swim and or feed a few of the parks bottle nose dolphins. I suggest seeing the dolphin show and the shouka show if you love sea animals. On the other hand if you love land animals you can't go wrong with the Wildlife show and Odin's Temple of the tiger. Overall the only thing missing here is a bigger coaster. This is a great small to mid-sized park that has a little for the whole family. A great line up of smaller attractions and flat rides combined with the wildlife shows are great for younger visitors. As far as coasters, most of what the park has to offer is pretty standard fare, however Medusa is a wonderful B&M floorless coaster if you like a smooth yet wild ride. Six Flags Discovery Kingdom is a good park. The animal shows and exhibits are great. Medusa is a nice B&M looping coaster, and Vertical Velocity is fun too. 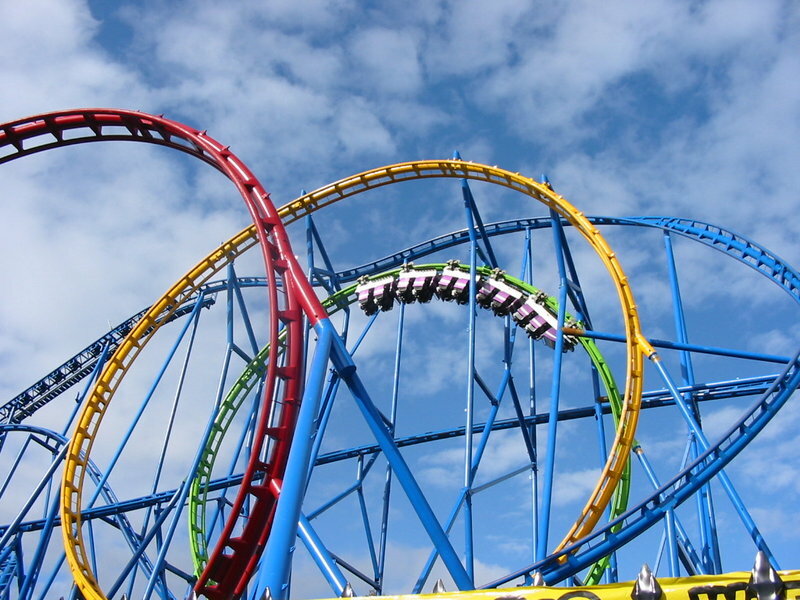 In my opinion, the park needs another major rollercoaster, maybe an Intamin Mega or a B&M hyper. A dive coaster would also be a good idea. Dolphins, Woddies, and Boomerrangs, what more could you want? Sure, they have a coaster in a parking lot, but overall they have the complete package with a launch coaster, a nice woodie, a decent B&M, and flats like a himalaya and star flyer. Plus, when you need a break, head over and watch the sea animals perform. The park has a beautiful setting on the water and easy to get to, but a little advice, don't star near the park! When I went to this park, it was deserted. All their coasters were open, but all the exhibits and shows were closed! It was warm and feeling good out so I didn't understand why there was nothing. It might have just been that day that there was nothing. The ride selection was decent (for the coasters they had). 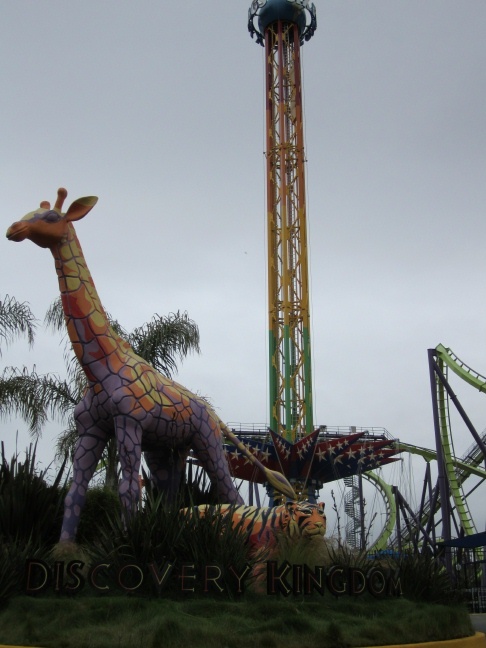 Medusa and Roar were the ones I rode because I'm not riding a Vekoma SLC, and the lines were outrageous for V.
I've been privileged to follow the growth of SFDK from the time it was called Marine World Africa USA. 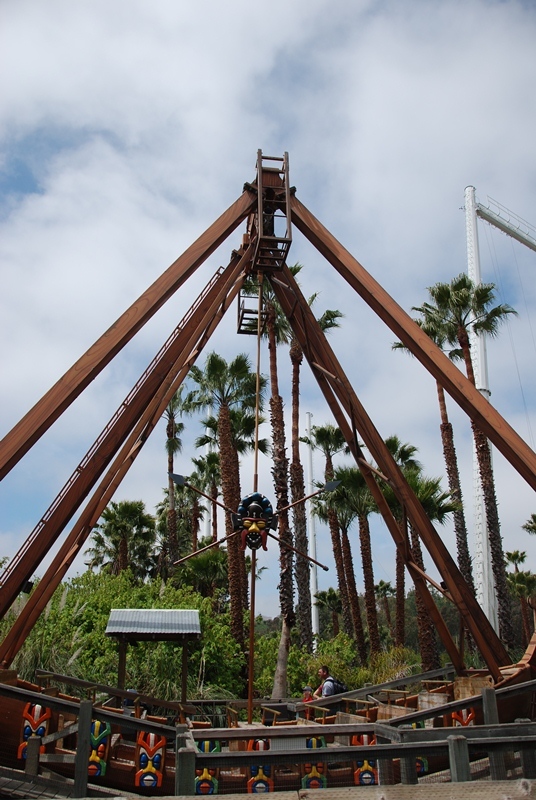 While SFDK may not be the most note-worthy park for thrill coasters, it's a great place to have fun without burning out. There’s something for everyone at SFDK, the lines don't get too long and when they worsen midday, there are plenty of other things to do. Just to name a few of the attractions worth visiting: Shouka the killer whale and her dolphin friend Merlin, majestic swimming tigers, a beautiful indoor butterfly room, and animal feeding times. The park maintains itself well and the workers are pleasant. Also, Medusa is an excellent B&M floorless coaster. Catch it later in the day for extra-short lines! This Six Flags has it's act together. 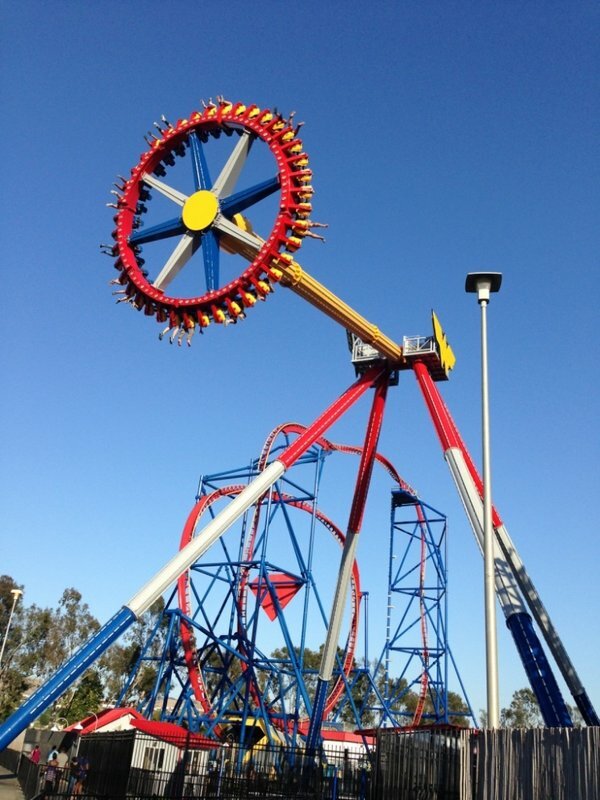 It has a good selection of thrill rides and coasters, fun shows, stuff for the kids, and stuff for animal lovers. 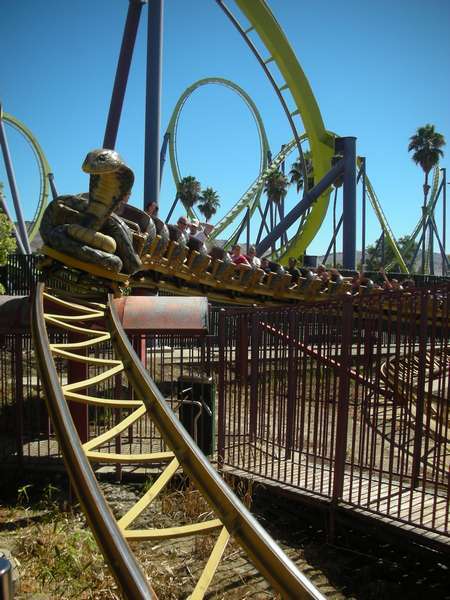 Medusa is one of my favorite coasters in all of California, and I really enjoyed the animal exhibits. 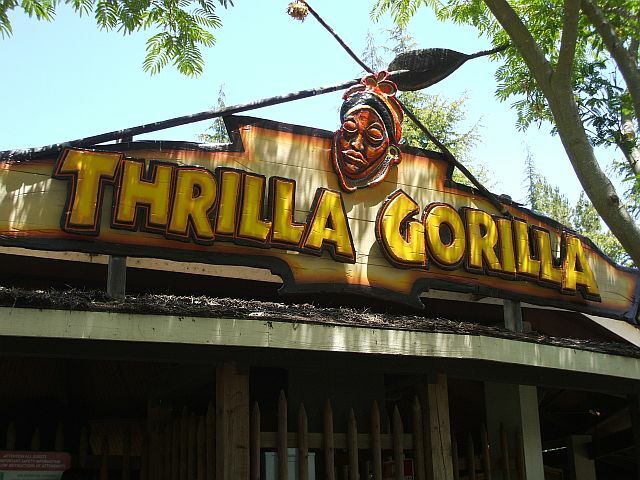 In all of Northern California, this is the best pick for a fun day at a theme park. The only bad things about this park is the long walk from the parking lot, and the food. I had no problems with the staff when I was there, but it wasn't anything exceptional either. When visiting, just be sure to call ahead to make sure no local school groups are visiting the same day, as that will pack up the park pretty well. 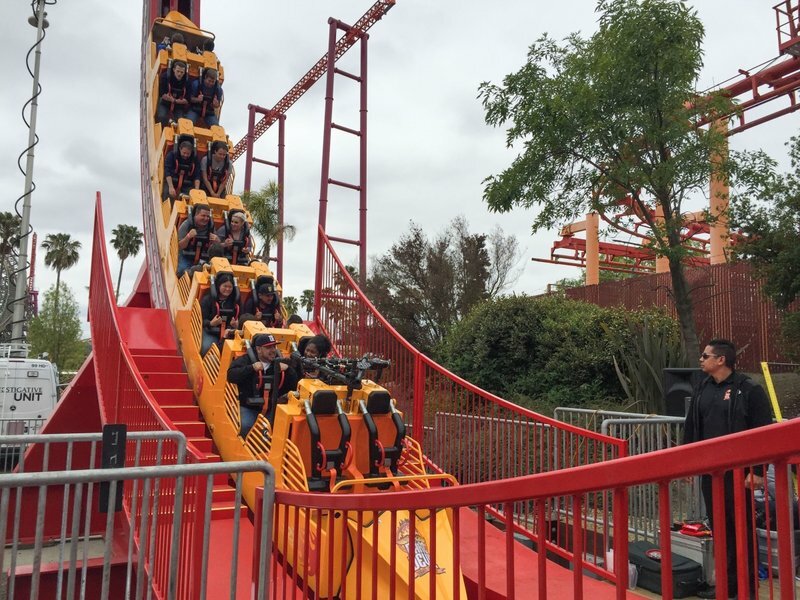 SFDK has changed a great deal in the past decade since SixFlags took control, adding quite a few new coasters and other attractions, and chaning the feel of the park from a Sea-World Clone to a true ride park. Medusa, the park's signature B&M Coaster is phenominal, but suffers from operators who don't always get the ride dispatched correctly- or nearly as frequently as it SHOULD be operated. ROAR battles long lines on most summer days, but is well worth the wait. V2 is unique in it's own respect- enjoy the forward part of the trains. On the downside: The locals tend to be very high-strung people, and there is a severe problem with line-jumping and bad tempers. The animal exhibits immediately signify this is a "different" Six Flags park, and there is more on offer here than at the other parks. SFDK is really nice; it's pretty and offers a variety of rides and shows. 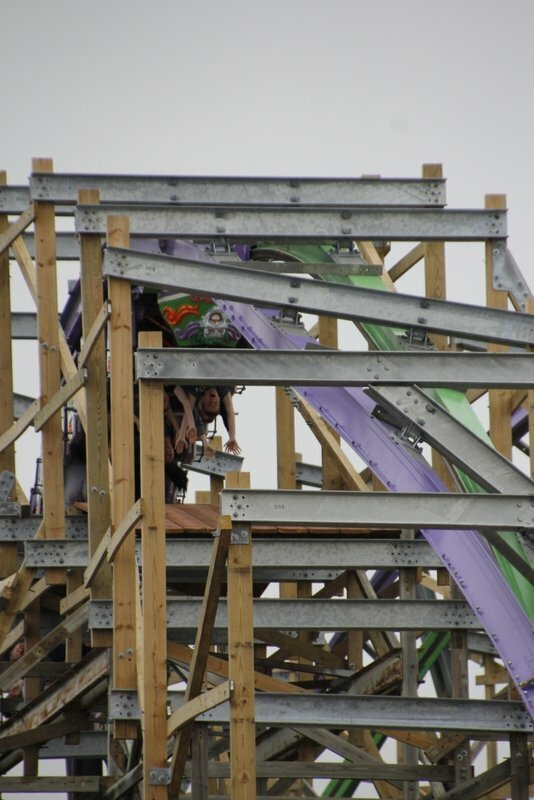 Medusa is a (superior) riff on the first B&M floorless at Great Adventure. V2's altered spike is unique. Roar is a fairly rough GCI. The rest of the coasters are standards that can be found elsewhere. For my tastes Medusa is the only real draw, but there's something here for everyone. 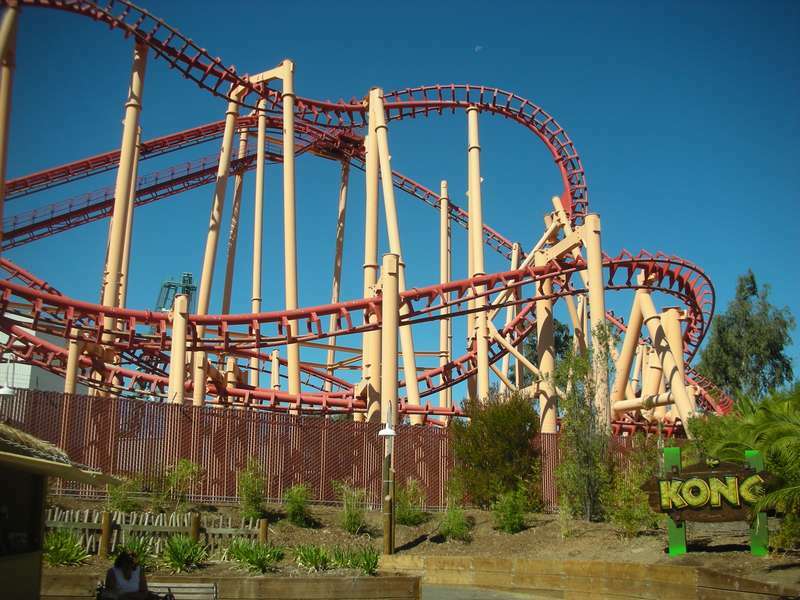 Discovery Kingdom is not your typical Six Flags park. While they do have several massive roller coasters, they also have a whole section dedicated to animals. While not quite to the quality of SeaWorld, the park's animal shows provide something different to do if you want a break in the middle of the day. 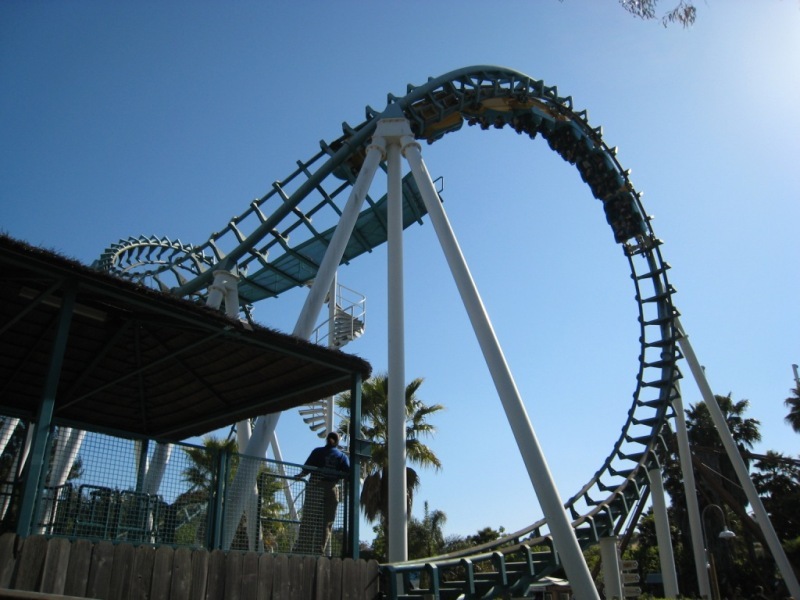 As far as coasters go, Medusa is clearly their standout ride, but beware of operations. Even with two trains, the line can be over a half hour when it only fills up the station. 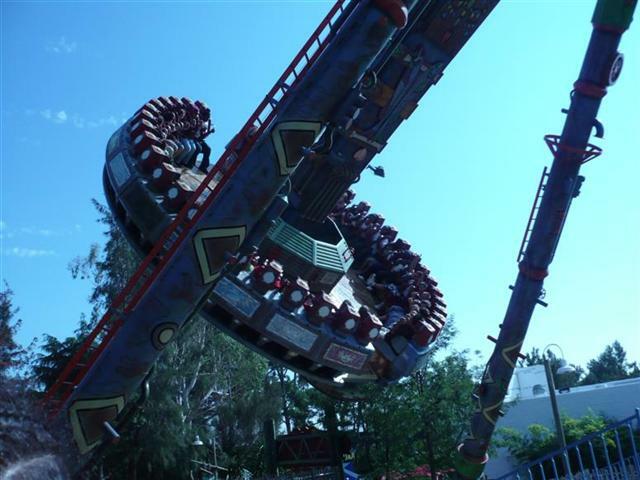 The park has some nice thrilling rides like Medusa and V2 a.k.a V2.5 and fun family attractions like Big Spin and Cobra. They also have many show (most of them being animal shows) which are a lot of fun! The food is ok but a little over priced and the operations and some times be horrible, but many Six Flags parks are like this. Its common for me not to remember that this is a SF park when im there some times and the park has a little something for everyone! 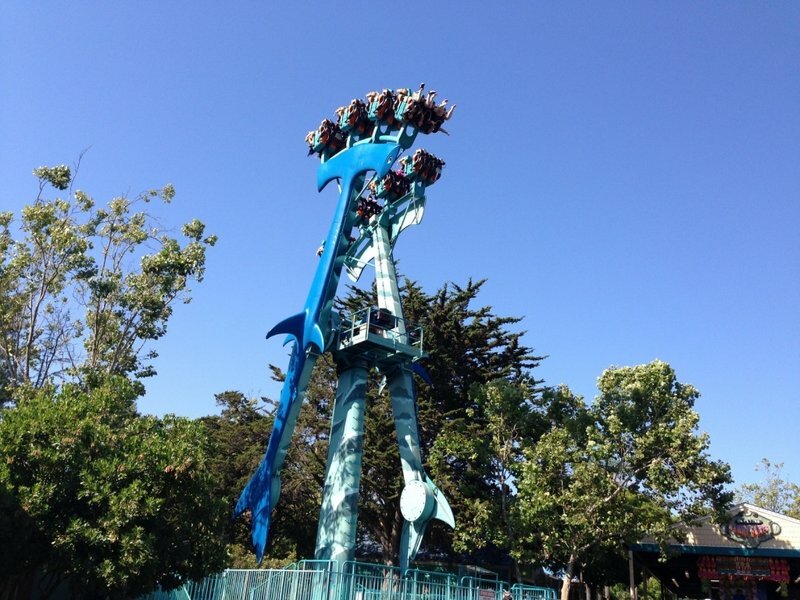 If you like Whales, Dolphins and coasters (camels and tigers too) this is a fun park. But if your unlucky and go on a busy day be prepared for long waits on just about everything. Operations can be slow. Don't miss the butterfly house. A good selection of flats, Teva's land a kiddie section. Elephant rides. Did I mention Medusa B & M floorless. Smooth and still packs a great ride (no 2 steel in Norcal, IMHO V2.5 with the lowered front spike. Try the BBQ pricey but decent. SFDK is a little different compared to most Six Flags parks. It has a few good roller coasters, flat rides, shows, and animal attractions, but doesn't seem to have the 'Six Flags' feel. 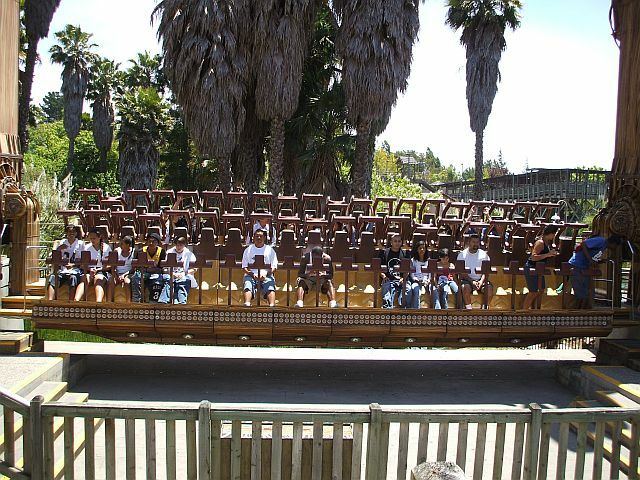 It has plenty of attractions for everybody to enjoy, although a majority of the big the rides are spread around unevenly. 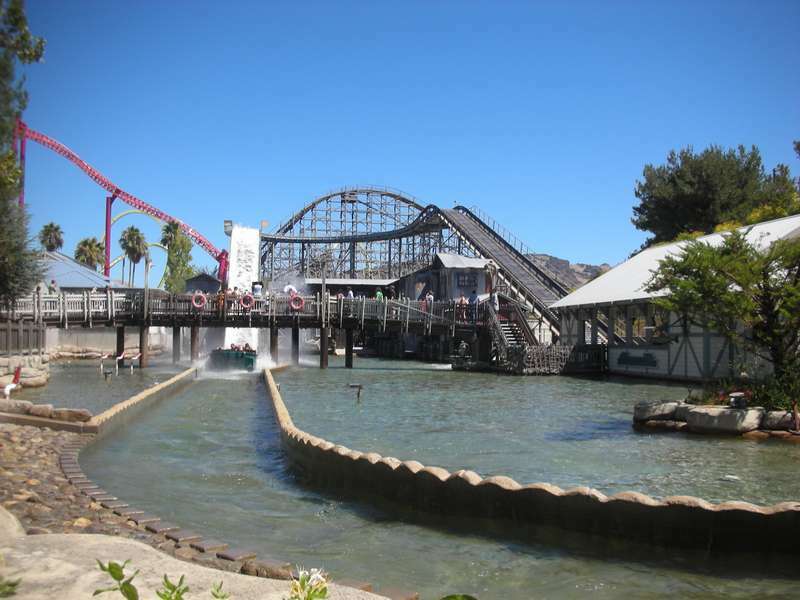 The food isn't fantastic, and there can be a few visual improvements made to a few rides, but this is the case with many Six Flags parks, and the experience is relatively unaffected. A park with eight coasters and numerous animal shows? Sounds great to me! 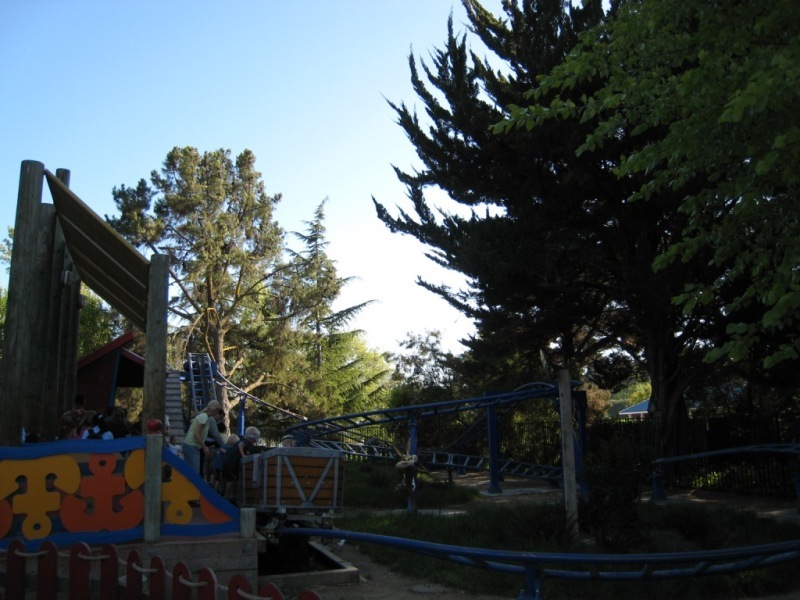 However, even though the park and atmosphere are quite good, the operations are not. How is operating one train on Kong and Roar with waits over an hour acceptable? In addition, the Medusa crew averaged 4 minutes per dispatch, and managed to stack the trains on EVERY cycle. 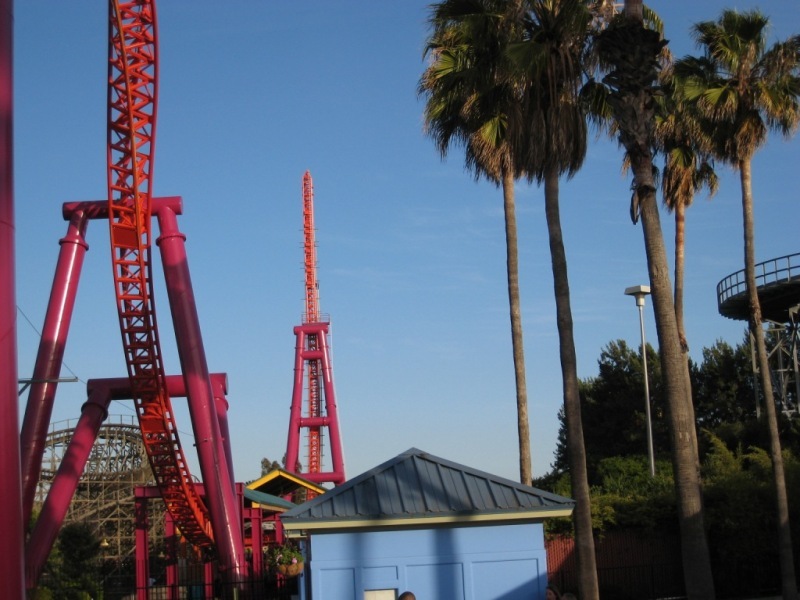 Overall, SFDK is still a nice park, even though it does not handle crowds well. Does not feel like your "typical" Six Flags park. Well-rounded offerings for riders and animal lovers.